of Seattle baritone Vince Mira has followed an unusual trajectory would be more than a bit of an understatement. Discovered busking at the famous Pike Place Market by entertainment gadfly Chris Snell in 2005, within a few short years Mira would perform live on both The Ellen DeGeneres Show and Good Morning America – at the age of fifteen. 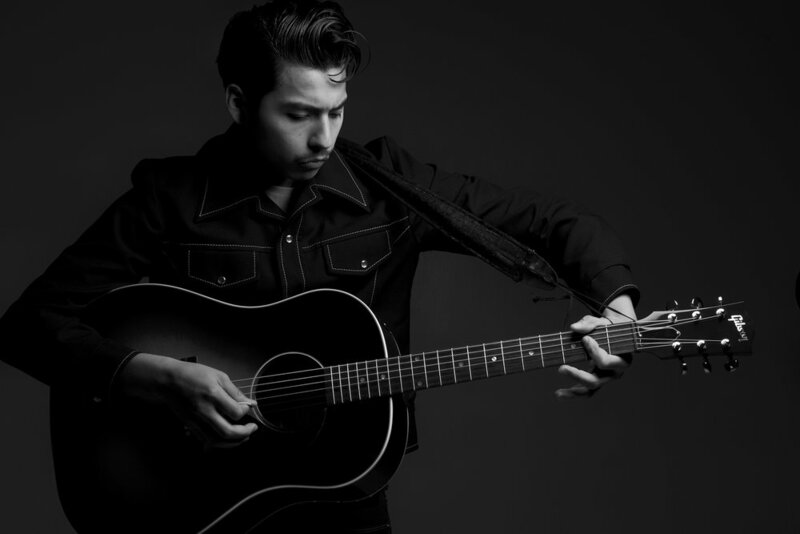 After being discovered by Snell, Mira honed his performance skills at Seattle’s Can Can, blowing away audiences with both his startlingly spot-on Johnny Cash covers and compelling originals. As fate would have it, Mira would go on to record his first release with John Carter Cash at the Cash Cabin in Nashville. Cash Cabin Sessions was released in 2008, and an eponymous follow up – again recorded with Cash – was released the following year. During this time Mira played hundreds of shows across the country, including stops at the main stage of the Sasquatch festival and Austin City Limits. Mira, though, was born a writer, and immersed in music from an early age. “I first learned to play Bolero music,” he explains. “It’s trio music, Mexican slow jams. They all sing and play guitar. My mom would sit me down and make me sing all of these songs she loved in Spanish. Little by little I learned them by heart.” Immersed in the joys of home, Mira’s creative urge found its outlet in poetry. “I would just write poems as they came to me. Little love notes for my wife or kids. Just saving them up on scraps of paper,” says Mira. At the same time, Mira began tentatively playing the guitar again, just for enjoyment, writing just to write, from a place of pure creative expression. “My friends always gave me a hard time about never having written a song for my wife” Mira tells us. “One day I was out for a run and this poem I had in my head just sort of fell into place with a melody I was humming. I ran right to the flower shop!” laughs Mira. “I saw a chance to be romantic and took it. She finally has her song after ten years.” That song is titled “True Love”, and it is a beautiful, shameless declaration of unbounded affection. El Radio is a portrait of a life steeped in music, an artist’s heart worn proudly on his melodic sleeve. Hard to pin down, it’s both Country and Spanish, mornings in his mother’s kitchen, nights on stages across the country. Both road-worn and hearth-warmed, with El Radio, Mira is finally, truly, home.